I seriously adore this brand. All of their products are out of this world and super cute! The lipstick case is a purple shade with a hologram unicorn. Who doesn’t love that combo? The lipsticks are Opaque and are available in a range of classic and unique shades. 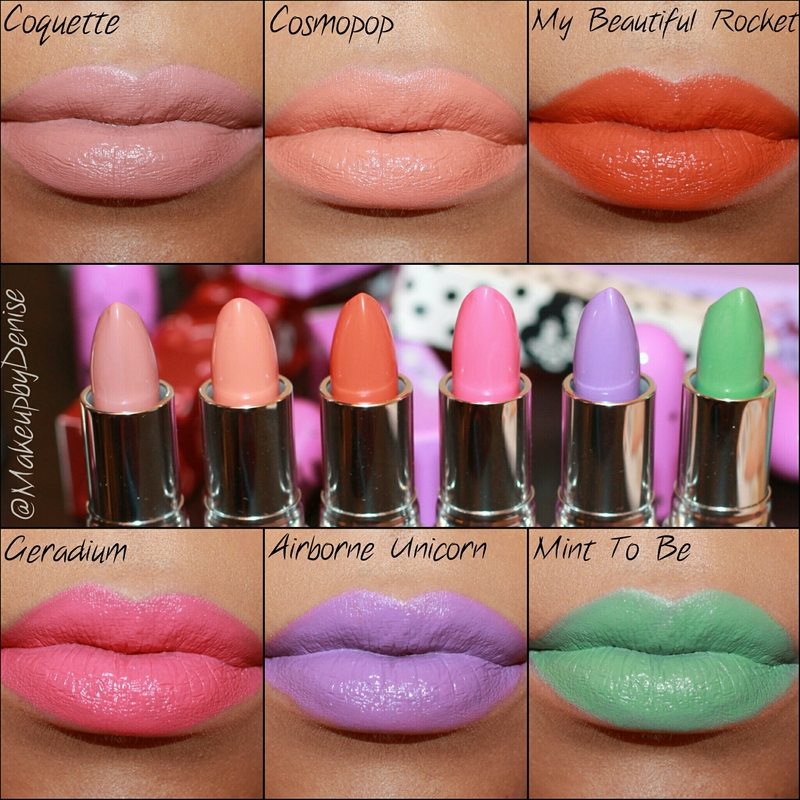 Whatever mood you are in, Lime Crime has a lipstick to suit it! The entire Collection is composed of 18 shades. This is my personal collection! This entry was posted in Reviews / Swatches and tagged beauty, lipstick, makeup, review by makeupbydenise. Bookmark the permalink. Love, Love, Love Cosmopop ❤ its gorge!!! !